No tires? 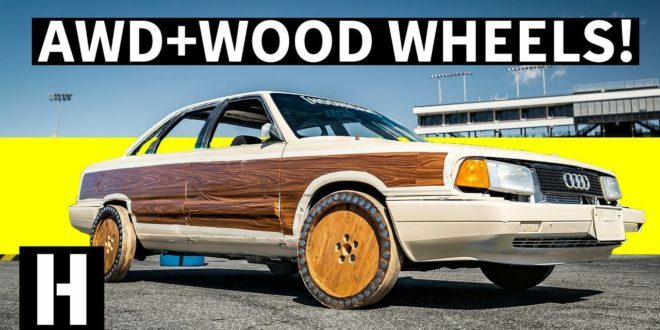 The solution is – plywood! 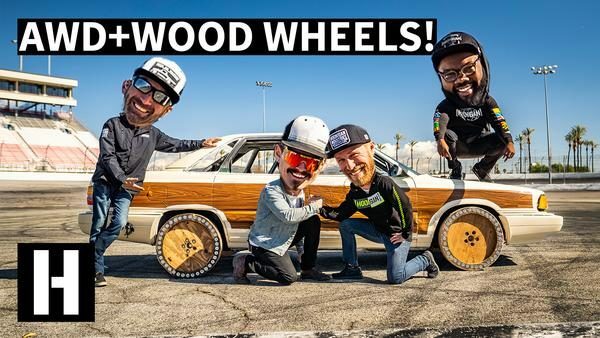 The Hoonigan team decided to tease and have fun with old Audi and find out the answer to the question that no one else came to think of. Several layers of plywood were made by wheels of dimensions 24 x 4 inches and cast for testing. 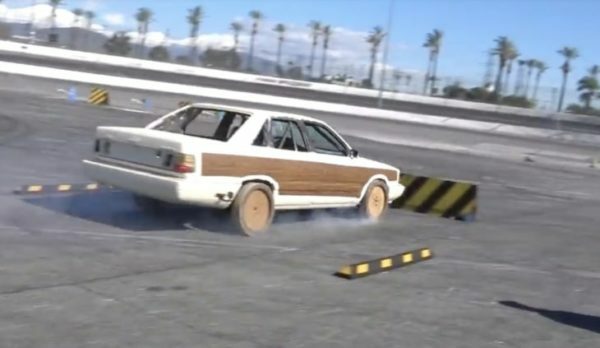 Audi with all-wheel drive is surprisingly well-drilled in drifting on wooden wheels, but clutching and stopping is a story for itself. The whole ride was accompanied by scented wood and strange sounds, and the guys had no doubt good fun.